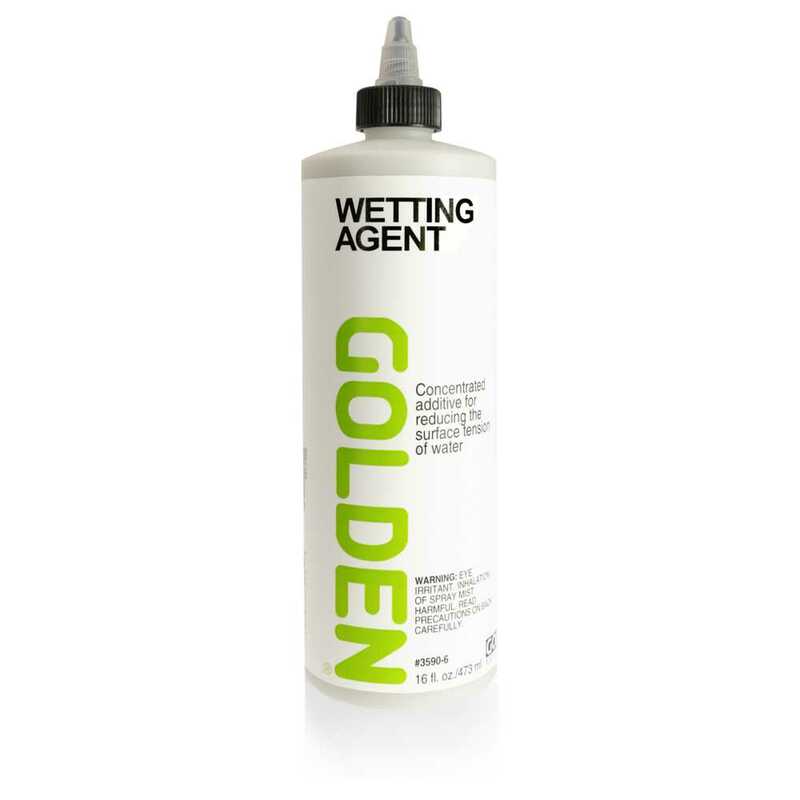 Wetting Agent [formerly Acrylic Flow Release] is a concentrated additive used to reduce surface tension of the water in the acrylic emulsion, thereby increasing the slickness and flow of the paint. It is effective for achieving rich stains on a porous surface. As with OPEN Thinner and Retarder, Wetting Agent contains no binder and should only be used properly dilluted per product instructions.